Fancy Tiger Crafts: Mary Flanagan Woolens are Here! 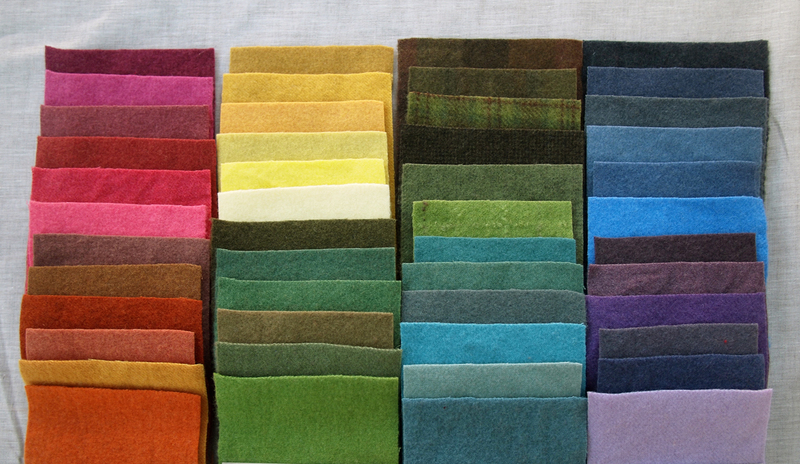 Mary Flanagan's 100% wool precuts are here! We are in love with the rich, hand-dyed hues. The felted twill won't ravel and has the beautiful, classic texture of woven wool. Each package comes with six coordinating colors. 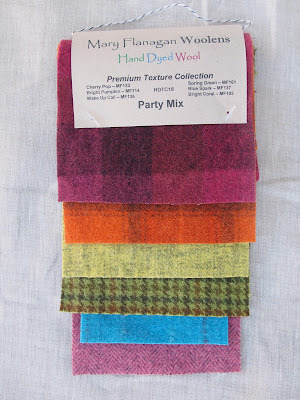 They are fantastic for applique projects, or use them for woolly patchwork, handsewn toys or sewing projects!